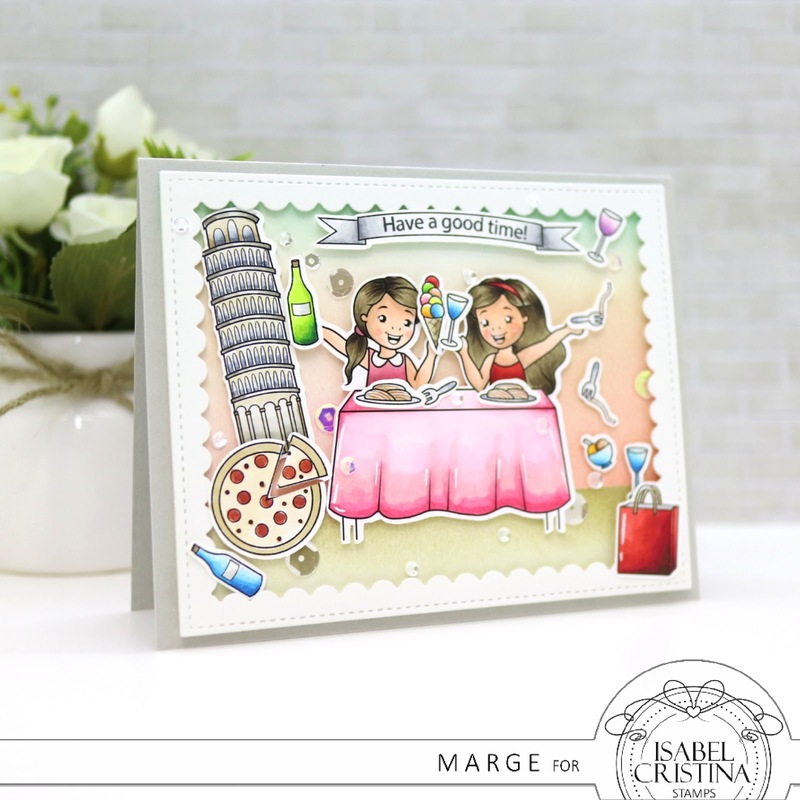 It is a new day of a new week which means my friend Isabel Cristina releases new digital stamp set - Bella Italia ! You can have lots of lovely items themed with Italian tour from this set. Here is my card for it. I printed the images on 80lb Neenah White Paper, then cut them all using my Scan N Cut and then colored the images using copic markers. I also stamped a sentiment from Messages For Everyday on the flag. I ink blended some of my MFT dye inks (Kraft, Natural, Peach Bellini, and Coral Crush) on a piece of Bristol Paper, then I framed it with Scallop Frames Dies cut using Darice Double Sided Foam Strips. I adhered my colored images using foam tapes, then I adhered the panel onto A2 card base I made using Fog Gray Card Stock. As a final embellishment, I added 3mm Sparkling Clear Sequins, Spring Blossom Sequins Mix, and Sparkling Clear Mix. That's it for today. I hope you will enjoy the new lovely Bella Set. 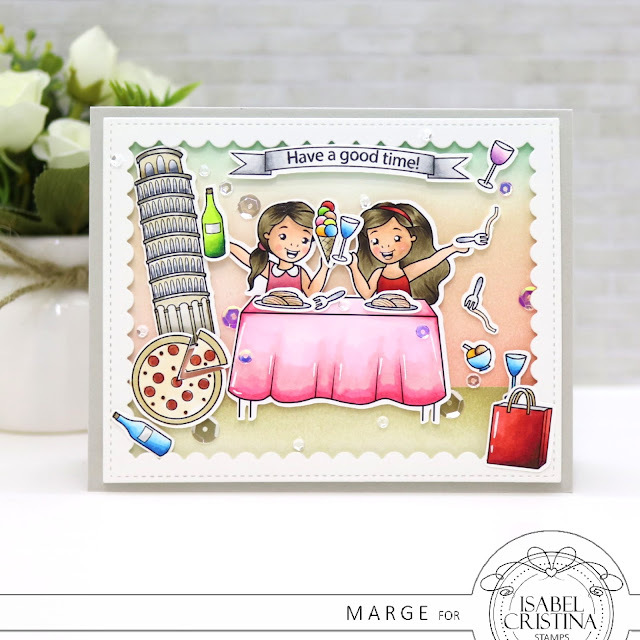 I'm so sorry to say that I'm stepping down from Isabel Cristina Design Team, so this is my last official designing card. 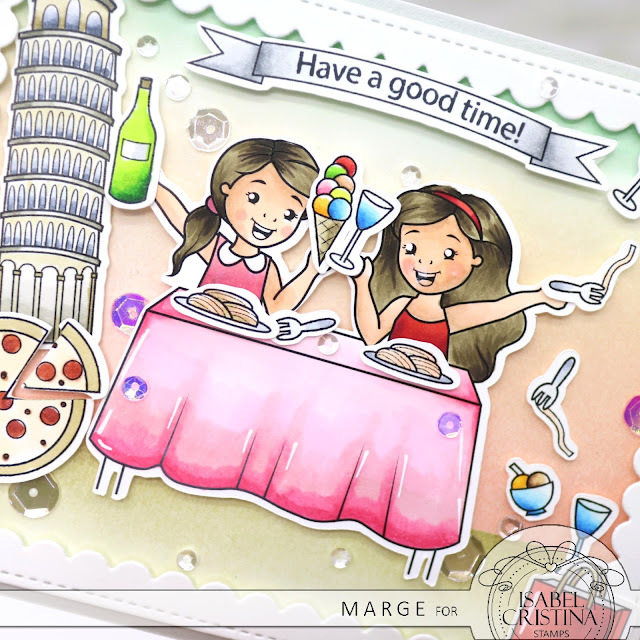 As I love her Bella series so much, I'll sometimes share my cards with her digi stamps. Isabel is one of my best friends and I really appreciate our friendship. She is so talented and sweet as well. 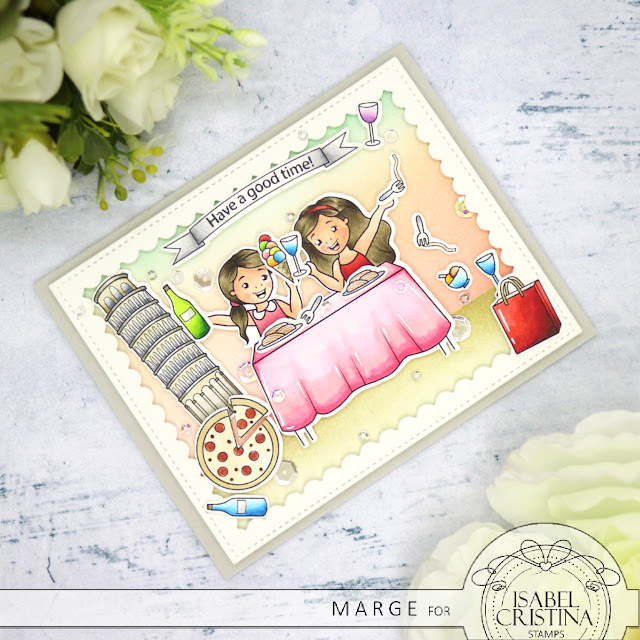 If you love elegant, cute and lovely images and you love to be inspired on coloring and designing, follow her @isabelcristinanl on Instagram.